"Manure! I HATE Manure!” – Biff Tannen Throughout history members of the Tannen family have an almost preternatural ability to get closely acquainted with manure after an interaction with Marty McFly. This premium motion statue captures the first encounter when Biff’s convertible is filled to the brim, covering its occupants, after a chase around the Courthouse Square. Measuring 7” long this whimsical piece makes the ideal addition to any Back To the Future collection. 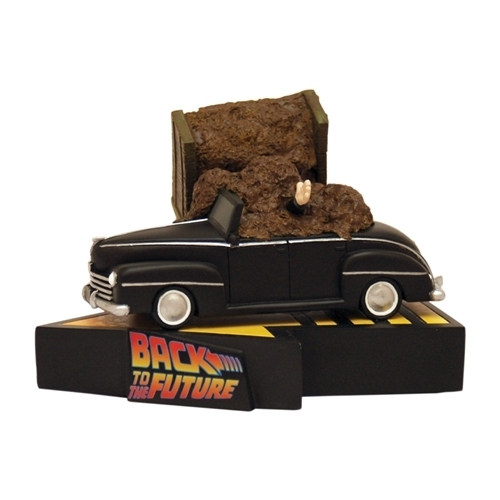 Crafted in solid polystone it is mounted on a Back to the Future branded base.